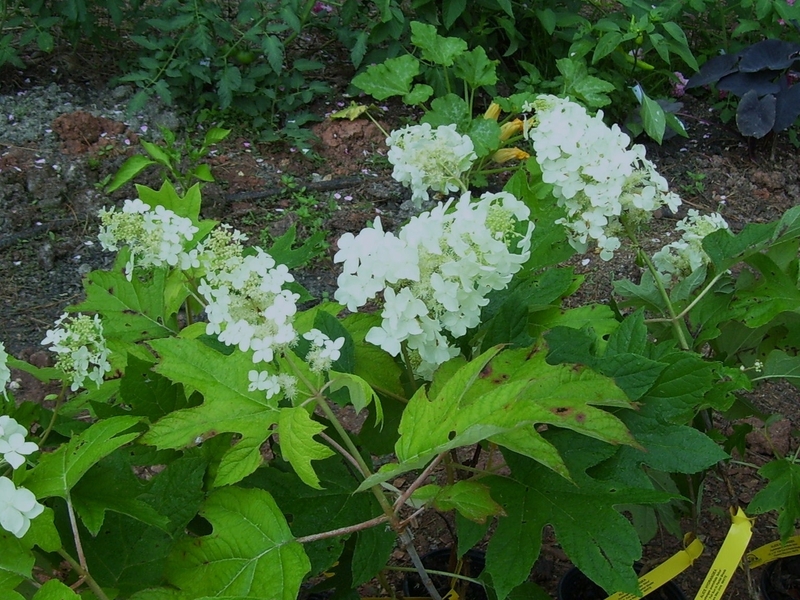 Oakleaf Hydrangea, Hydrangea quercifolia. American Native Shrub with large oak-shaped leaves and white panicle blooms. Red/Burgundy fall foliage is breathtaking. Exfoliating bark adds winter interest to this deciduous shrub. Mature Height: up to 8 feet tall. *Right now, all we have in stock is the species. 'Alice' and 'Snowflake' are out of stock until further notice, but are currently in production and will be available possibly in 2018. Gallon shrub. Price includes Priority Mail delivery.